Or is there? What about our Tambo Teddy Aussie Animals? They are 100% Australian characters. We have our little Aussie echidnas, who are little and cuddly not at all like their spiny counterparts. Teddies echidnas are only small, easy to carry around and come in the full range of colours and colour combinations. We often get asked – ‘What are these, door stops?’ which gives us a good giggle. In real life our echidnas would be puggles, what’s a puggle? The term “puggle” developed as a name for baby echidnas, as they resembled “Puggles”, an American soft-toy character, and while no the scientifically correct name for an echidna, we rather like it don’t you? Another favourite Aussie we love to create is the Koala, both the fat and flat varieties. Our Koalas have the cutest ears which can at times give them quite a startled expression. Koalas are not bears, they are not placental or ‘eutherian’ mammals. Koalas are marsupials, which means that their young are born immature and develop further in the safety of a pouch. So, it is actually incorrect to call them ‘Koala bears’ – their correct name is simply ‘Koalas’. But as we are a teddy bear shop, we don’t mind, Tambo Teddy Koalas are really Koala Bears. Just last year we added another great little Aussie to our family, Peter Possum. Our Peter is a rather shy character, but once he gets to know you, he is full of fun and surprises. Possums prefer tree-dwelling, so we have a lovely tree in store where they hang out. Peter is nocturnal but does love to come out and play at any time and being a puppet, he just loves putting on a show! To celebrate Australia Day in 2019 we have a special on our Aussie Animals. 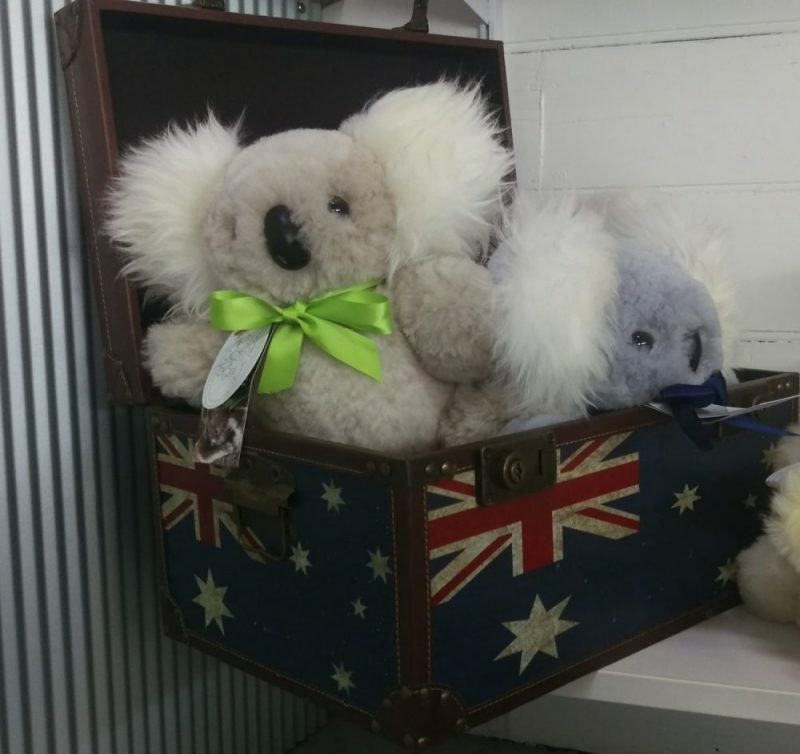 There is a Tambo Teddy Aussie who would love to help you celebrate being an Aussie. After all – there is nothing more Australian than a Tambo Teddy Aussie Animal!